Our AURA™ PRO Lighting Kits put you in control of the mood and ambiance. WE NOW OFFER OUR BLUETOOTH CONTROL BOX! This kit comes with everything you need to convert your AURA Kit to AURA Pro. 2x the distance than any other Bluetooth on the market. Connectively Pass Through Chipset- Don’t let where you install the control box affect your connectivity like othe Bluetooth kits. App updates allow for future feature enhancements that generic kits don’t get. 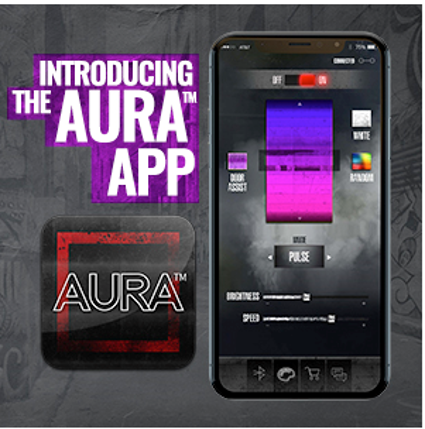 The next generation of LED Lighting: the Aura PRO Bluetooth App. Featuring sound sync and easy DYI plug and play install. We are the original leader in bringing you the best LED Automotive Lighting. Now we introduce to you the next generation of LED Interior and exterior lighting using our exclusively engineered Aura Pro App, available on iOS and Android. Discover the whole collection: https://www.opt-7.com/aura-pro-launch Visit us on social for pictures and testimonials: https://www.instagram.com/opt7lighting/ Have questions? Contact us via DM on Instagram or comment below.